The K-Code was the hottest Mustang you could buy in 1965 without spending the big dollars for a Shelby. Sold in limited numbers, accounting for only .75 percent of total Mustang production in 1965-1967. Matching numbers body, engine & trans. Arvinode exhaust (Google it and watch the YouTube video) Being a 11/64 build means it was sold new with the Arvinode. Total resto completed 2011 using NOS parts where possible. 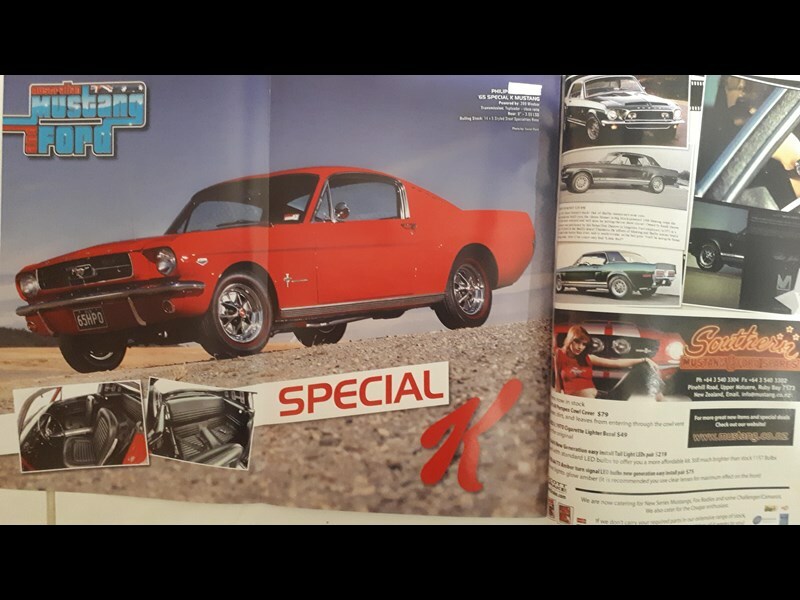 Featured in Australian Mustang & Ford magazine Oct/Nov 2011. Read the full story of the "Special K". A pristine copy included with the car. Currently on Club Rego, will come with RWC.